Who doesn’t love the sweet taste of a fresh strawberry or a handful of blueberries? 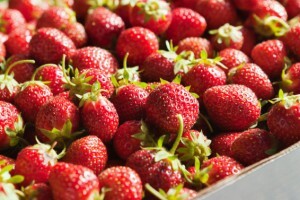 The berry industry has grown substantially over the past 50 years from a short season crop that was produced strictly for the local market to a globally shipped product. Its value as a healthy product high in anti-oxidants has only fueled its growth. 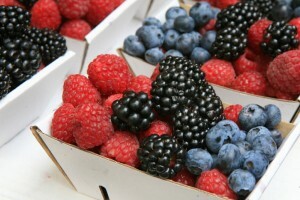 From its beginnings in woven wood baskets, pulp paper trays and bulk corrugated boxes, berries are now shipped mainly in corrugated trays with clear plastic clamshells. Crown Packaging has extensive experience with berry producers and has been there to support with graphic and structural challenges. 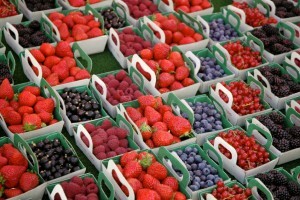 Whether you need a 5 or 10lb retail ready box, a 30lb bulk Blueberry box, or a 12 x ½ pint Strawberry tray we can help.